There is power in understanding your finances and getting control of them. My goal is to help people from all walks of life understand their finances and create a plan for the financial future they desire. Answering Clients’ Questions From Across the U.S.
"Am I on the right path?" "What should I be doing?" Do you find yourself overwhelmed with financial news and information? Are you trying to make sense of all of the different opinions on how you should be approaching your financial life? Maybe you have been working for a while and wonder if you will be able to retire someday (or soon)? Maybe you are trying to figure out if you are properly insured, investing properly, or trying to understand how Social Security might fit into your plans someday? Maybe you are thinking of taking a career sabbatical, reducing your hours or even changing careers? If you answered yes or can identify with any of these questions, then you've landed in the right place. I work with people like you to move from feeling anxious about their money and finances to finding answers and feeling confident in their decisions. Together we will chart a customized financial course to lead a satisfied and fulfilling life. I am passionate about learning and helping others with personal finance. I participated in multiple Your Money or Your Life study groups in the 90’s. Over the years, I have volunteered to prepare income taxes for low-income individuals and conducted financial education seminars as part of the Federal Reserve MoneySmart Week. Since transitioning from my software engineering career in 2007, I have worked with people from Southeast Michigan and all over the U.S. as part of a consumer credit counseling organization and a registered investment advisor with over $1 Billion under management. I live just outside of Detroit in the city of Birmingham, Michigan with my wife, Amy. We live with two Balinese cats, which occasionally make video conference appearances as the official office cats. My wife and I enjoy running, yoga, live music, good food, and conversations with our friends. We are also passionate about traveling. We have hiked in many of the National Parks in the Western United States and Alaska. Recently, we spent two great weeks in Italy where we were able to visit relatives in Sicily. For more details on my professional background, please check out my LinkedIn profile. Featured in Yahoo Finance/CNBC, U.S. News & World Report and The Wall Street Journal. I have seen first-hand how sound financial advice can really make a difference in someone’s life. This is true for someone who may have a negative balance sheet or a surplus in the tens of millions. At some common level, we are all just trying to make the best decisions possible for our families, friends, communities, and ourselves. One of my great joys in life is helping someone achieve that empowering "aha" moment about their relationship with their finances. I am passionate about delivering transformational financial planning advice to Gen X and Young Baby Boomers contemplating full retirement, semi-retirement, a career change, or starting a business. Debt is hard. Assets are soft. Minimizing and using debt wisely can build or protect net worth, but too much debt is concerning. Small decisions in your 30’s and 40’s and even 50’s add up over time. Big decisions in your 60’s and beyond can make a critical difference in your retirement. I have had the opportunity over the years, including 2017, to work with the Federal Volunteer Income Tax Assistance (VITA) Program administered through the Accounting Aid Society of Detroit. While volunteering my expertise, I prepared tax returns for low-income clients to ensure clients received their refunds and available credits. I also analyzed, explained, and counseled them about their credit information and how to rebuild their credit. Additionally, I dedicated some time to conduct workshops at local libraries during the Federal Reserve Money Smart Week. As part of the Federal Reserve sponsored event, I presented lectures on the Introduction to Financial Basics (2015), Steps to Financial Freedom (2010), and Surviving a Layoff or Job Change (2009). Fintentional was proud to be a sponsor for the 2017 and 2018 MOM Race and again for the 2018 - 13th Annual MOM 5K for Mental Health Awareness and Suicide Prevention. Shared some ideas for saving money on running vacations and also gave a shout out for the annual Harvest Stompede race held in Northern Michigan wine country. The following quote was featured along financial ideas from myself and other professionals. "You feel empowered because you're in control of your finances instead of the other way around. You're not waiting for something bad to happen to upend your finances. Your physical health may also start to improve as your financial health does." Featured as a guest contributor. I share some thoughts on the 2018 tax changes and how they may shift your view of charitable giving and impact investing. I was a guest on this podcast hosted by my colleague Michael Anderson from California. We discuss fee-only planning during the mailbag section starting at the 23 minute and 26 second mark. An in depth interview about transitioning your investments as you approach retirement. Paid subscription may be required to read the article. Here is how I thanked my clients. "Mr. Palazzolo recently mailed custom Thanksgiving cards to his clients. In addition to marking the holiday, he thought the timing was right given that he recently celebrated the one-year anniversary of the official launch of his business. He wrote a note in each card and purchased National Park stamps for the mailing since most of his clients like to travel. 'It’s a simple, personal and cost-effective way to say thanks,' Mr. Palazzolo says." Provides some insight into my overall investment philosophy. Discussed donating highly appreciated investments and donor advised funds. Shared my ideas for retirees in low marginal income tax brackets. Stories of individuals who are working to keep their credit scores over 800 including a personal profile. Many good tips for working at home. Scroll down about half way to see how I try to stay productive. Scroll down the linked page to read how Agile software development ideas can be applied to financial planning. Bill Joyce's mission is to educate home buyers about buying a house that fits their financial and life goals. Bill and I have a nice conversation about intentional home buying. Free subscription required to read the article. I shared my thoughts on the proposed DOL Fiduciary Rule. "Michael Palazzolo, head of the Birmingham, Mich.-based RIA Fintentional, says that as a fiduciary he’s personally 'indifferent to the potential demise of the DOL rule.' But that’s not because he thinks it goes too far. 'It only covers retirement accounts,' says Palazzolo. 'Does this mean one can act as a fiduciary for retirement accounts but not for money invested outside of retirement accounts?' Palazzolo thinks this uncertainty 'could cause even more confusion for people' despite the rule’s undoubted “good intentions” toward the consumer." Free subscription required to read the article. I shared my thoughts on Social Security. "Michael Palazzolo, a financial advisor with Fintentional in Birmingham, Michigan, recommends that clients 55 or older use the projected benefit amounts listed on their Social Security Benefit statement. However, he also runs two scenarios for clients aged 55 or older who are worried about Social Security: one with benefits rising annually at 1% to 2% and a second scenario with no inflation adjustments. For those under age 55, Palazzolo recommends running scenarios using 70% of estimated Social Security benefits and an inflation adjustment of 1% to 2% and, if they’re interested, a second scenario with the full amounts of their estimated benefits." A personal and professional interview regarding financial resolutions. 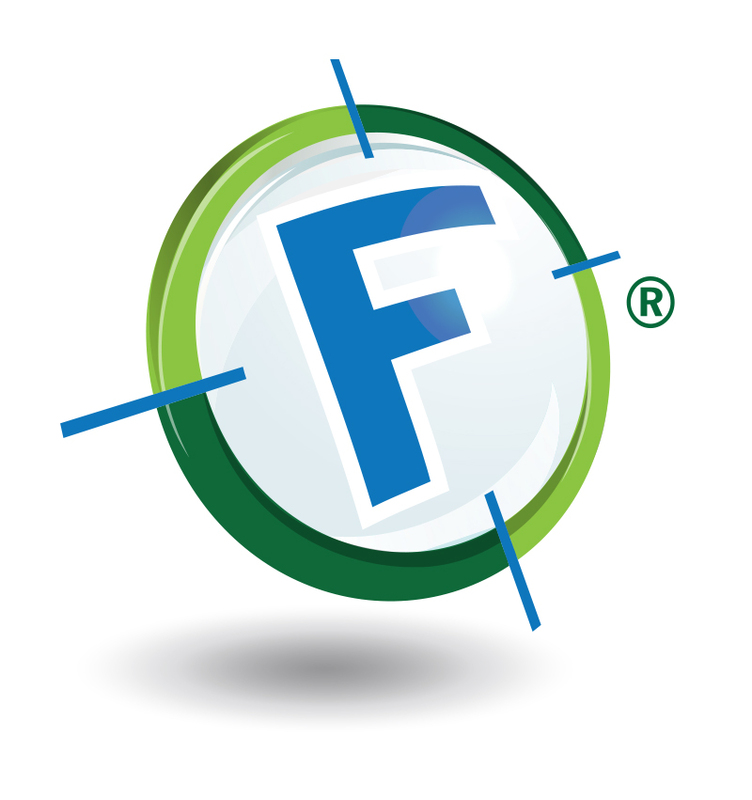 The story behind Fintentional's name and web site. The following press releases provide additional information about Michael Palazzolo and Fintentional. The Financial Planning Retainer Offering is designed for those seeking ongoing help to develop and implement their financial plan. A complimentary introductory meeting will be held to determine the scope of the engagement. Upon engagement, Fintentional LLC will provide ongoing comprehensive financial planning for an upfront fee and annual retainer that can be paid monthly or quarterly. Fees are based upon Adjusted Gross Income and Net Worth. The goals and objectives of each client will be developed, prioritized and captured. The client is responsible for implementing each recommendation; however, ongoing guidance and follow-up will be provided during the year. During the initial year, there will typically be three to four virtual scheduled planning meetings. In-person meetings can be arranged for specific circumstances or for the first scheduled planning meeting. Ongoing email and phone support will also be available throughout the year. Follow up will occur to encourage implementation of accepted recommendations. Online access to your financial plan, financial road map, and a document vault will be provided. With proper authorization, we will interface with your other professionals such as estate attorneys or tax advisors. During subsequent years, the number of scheduled planning meetings will typically be once or twice a year based on the agreed upon services and your progress. Ongoing email and phone support, goal follow-up, interfacing with other professionals, and online access will continue as in the first year. Ongoing Financial Planning consists of an upfront charge between $950-$1400 and an ongoing monthly fee of $150-$400. We can also arrange for quarterly payments. We provide hourly, as-needed advice to clients who prefer to work on an hourly or project basis. The advice may be general in nature or focused on particular services of interest depending on each client’s specific circumstances. Following an introductory meeting, we will agree upon the scope of the engagement and provide a quote for the desired work. At the end of each hourly engagement you will also be provided with recommendations. Limited engagements are offered on an hourly basis at a rate of $200 per hour, calculated in 30-minute increments. If an hourly offering is chosen, half of the fee is due at the beginning of the engagement and the remainder is due at completion of work. We provide consulting services for clients who own a business or are considering operating their own business. We will assess your current situation, identify your objectives, and develop a plan to achieve your goals. We will review your income and expenses. We’ll provide recommendations on debt management, cash reserves for emergencies and other financial goals. Includes projecting an estimated amount that will be needed to achieve college or other post-secondary education funding goals, along with advice on ways for you to save the desired amount. We will provide an analysis of your employee benefits to assess whether you, as an employee, are taking maximum advantage of your benefits. This usually includes an analysis of your exposure to estate taxes and your current estate plan. Our advice typically includes ways for you to minimize or avoid future estate taxes. We will identify financial goals and develop a plan to reach them. Review of existing policies to ensure proper coverage for life, health, disability, long-term care, liability, home and automobile. We'll develop an asset allocation strategy, advise on investment vehicles and strategies, review employee stock options, and review investment accounts at brokers or custodians of your choice. Our retirement planning services include projections of your likelihood of achieving your financial goals, focusing on financial independence as the primary objective. Advice may be given on appropriate distribution strategies. Factors considered include desired length and amount of distributions, tax implications, income streams, and investment strategy. A review includes an analysis of your exposure to major risks that could have a significant adverse impact on your financial picture, such as premature death, disability, property, and casualty losses. Taxes can have one of the largest impacts on financial planning. We'll advise on how to minimize current and future income taxes and ways to structure investments. I find that the best way to help a client is to first truly understand their relationship with money. Therefore, as we are getting to know one another, you will complete a financial behavioral assessment developed by DataPoints. This assessment was created from forty years of research data from Thomas J. Stanley, author of The Millionaire Next Door and The Millionaire Mind, and helps to uncover and prioritize your financial goals, wants, and desires. This tool also allows us to measure your results over time to help you achieve your desired life. You can learn more about the assessment by watching this short video from DataPoints. The Right Capital planning software allows clients to interact with their plan online, link their accounts for updated information and provides a secure document vault for sharing files between us. It also maintains a shared action item list. Email reminders are sent out to keep us all on track. You can establish a basic free account today to monitor your expenses and net worth. You will learn a little bit about how the planning software works while gaining insight into your current financial picture. Individuals or couples with a desire to collaboratively work with a trusted advisor to make sure their financial life is on track. They like technology but also value working with someone who can provide organization, accountability, objectivity, and education. I am based in the Metropolitan Detroit suburb of Birmingham, Michigan. However, I enjoy working with clients from all over the country. I developed extensive experience working remotely with clients during my previous credit counseling and investment advisor positions. Where or how do we meet? We typically meet virtually by phone, email, and/or video conference. This helps us all maximize our time by reducing the amount of time spent in traffic. I am open to arranging to meet at a mutually convenient and comfortable location. We try to seek to understand you and your financial goals first. We like to develop an ongoing relationship where we are working with you over time instead of just giving you a large financial plan to implement on your own. We strive to deliver the personal touch of small independent firm, augmented with technology and the ability to draw upon the resources of the XY Planning Network, NAPFA, and FPA communities for challenging situations. What is the minimum account size needed to use your services? There is no minimum account size. Our goal is to make ourselves available to a wide range of clients. We try to be fair by basing our pricing on overall Net Worth and Adjusted Gross Income. Do I have to move my investments? No. As part of any Investment Analysis, we will review and make recommendations for your investments regardless of where they are held. We can discuss the pros and cons of different custodians if you need to move your investments for any reason. Will you help me with my 401(k), 403(b), Traditional and Roth IRA accounts? Absolutely. We can review investments no matter where they are held. 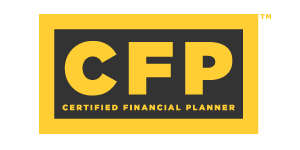 As a fee-only planner, we can objectively review your options surrounding a lump sum distribution from a company pension plan versus rolling the funds over into a Traditional or Roth IRA. We are also well versed in the different rules surrounding retirement accounts such as Roth Conversions. Why don’t you provide day-to-day management of my investment accounts? We are a planning-centric firm. We believe that long-term investment success can be achieved using a well thought out, passive based portfolio. Our long-term goal is to work with you to move your investments to such a portfolio as part of our ongoing planning services. We feel that your long term financial success is based upon the many other decisions you can make beyond just investment choices. How come other advisors do not charge me for financial planning advice? Wouldn’t you find it odd if your doctor or lawyer did not request payment for service? Many times you just don’t realize that you are in fact paying for advice and maybe are not even taking advantage of it. You could be paying a wrap fee, a certain percentage of your investments under management, sales commissions, or 12-b1 fees. We charge an agreed up fee for our services so you know exactly how we are compensated for the services provided. We believe that we should base our fees on a combination of overall net worth and income. It should not matter what level of investments you have or where they are located to receive good advice. From experience, we have found that as your income and/or net worth increase, the complexity of planning increases. We only plan to revisit your fee schedule every two years. * Costs for individuals or families with net worth greater than $10,000,000 are negotiable based upon the scope of services required. For limited engagements, our planning services may be offered on an hourly basis at a rate of $200 per hour, calculated in 30-minute increments. Does Fintentional act as a fiduciary? Yes, Fintentional LLC is a Registered Investment Advisor and Michael Palazzolo is a Certified Financial Planner™. At both levels, we are bound to act as a Fiduciary. Michael has also taken the Fiduciary Oath required of all XY Planning Network members. Will you work with my other professionals like my CPA and attorney? Of course. We welcome the opportunity to work with your trusted professionals to help you implement the recommendations identified during our planning process. What is the advantage of working with a fee-only financial planner? Fee-only planners never receive compensation for recommending specific products or services. Because we get paid the same no matter what we recommend, we are free to make the recommendations we believe are best suited for you. Although the book was published in the 90’s, it provides sound advice for developing a healthy relationship with your finances. This book first introduced me to the concept of debt being hard and assets being soft. Another book that was first published in the 90’s. The book outlines steps for developing and following a sound budget. It walks the reader through three levels of financial growth that include financial intelligence, financial integrity and financial independence. An excellent book that shares the results of a twenty year study of the wealthy. Overall, the book demonstrates that for most people, hard work, living within your means, and not trying to impress for success foundational principals for living a good life. An easy read, this book offers insightful quotes by Warren Buffet with narratives provided by the authors. The first part of the book provides a nice framework to learn how your behavior impacts investing decisions. A great, common sense, overview of investing. It lays the groundwork for investing in a low cost, well diversified portfolio. This book provides a solid overview on many financial planning topics related to retirement written in a very straight forward manner. Although not a financial book, it provides great insight for anyone contemplating a life transition such as starting a new career or retiring. It stresses the importance of slowing down and carving out some quiet time to figure out what is next. As we are primarily a virtual practice, please feel free to contact us through any of the following mediums. We look forward to focusing on your goals and finances together as life unfolds.